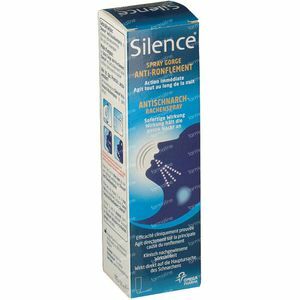 Silence Anti-Snoring Total 50 ml spray order online. Snoring is extremely common and can disturb you and/or your partner's night rest. It is caused by vibrations of the soft palate and other throat tissues due to air turbulence upon inhaling. During deep sleep, the muscles of the throat tissues relax and obstruct the airway. It coats the throat tissues to reduce vibrations in the throat. Due to its bio adhesive formula, Silence remains active throughout the night. 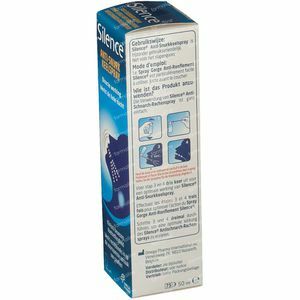 The foam keeps the treated area in the throat lubricated. 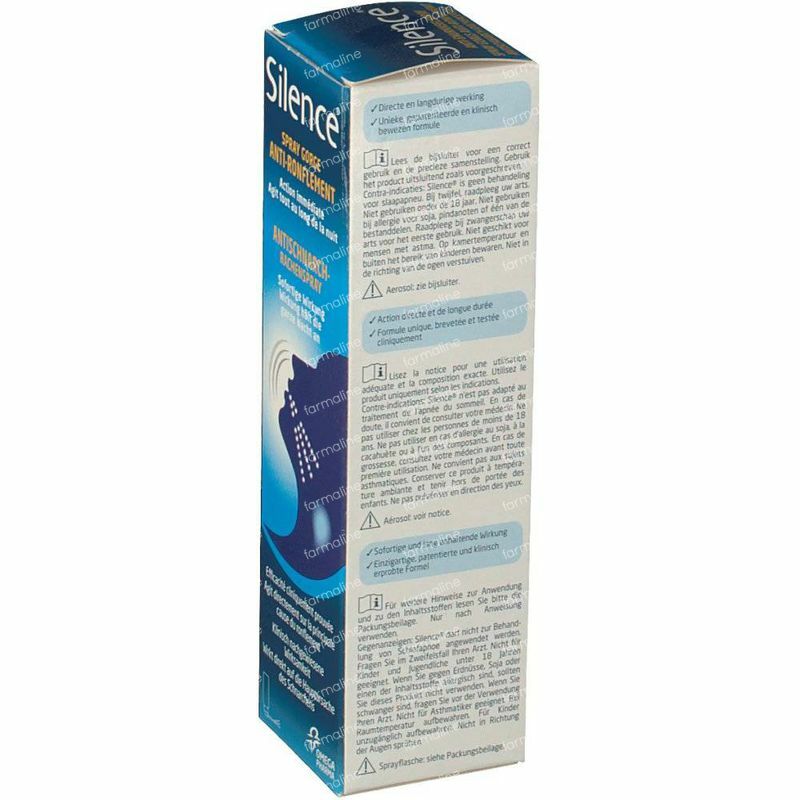 Take the additional diffuser provided, attach it to the nozzle of the dispenser and secure tightly. Hold the can upside down and insert the nozzle into the back of your mouth. 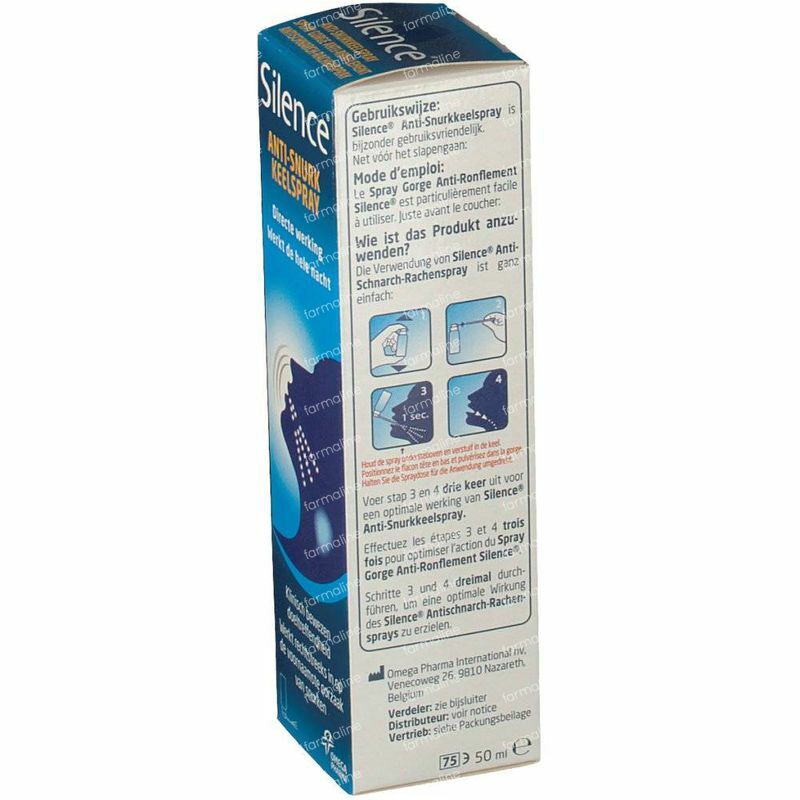 With your thumb supporting the applicator of the bottle, press the dispenser and spray the back of the throat for 1 second. Perform step 3 and 4 three times to optimize the effect of Silence throat spray. 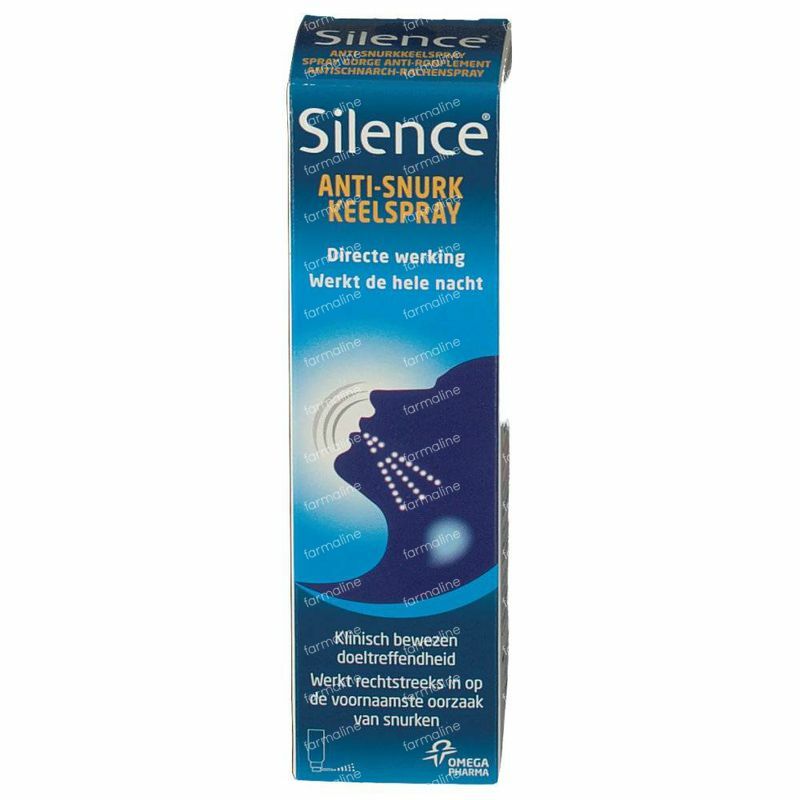 Additionally, regular use of Silence helps to stabilize the tissues and contributes progressively to a reduction of snoring noise.